David Friel, of The Sun, is reporting that Rangers are lining up a shock offer to tab Ian Cathro as the next Rangers manager. 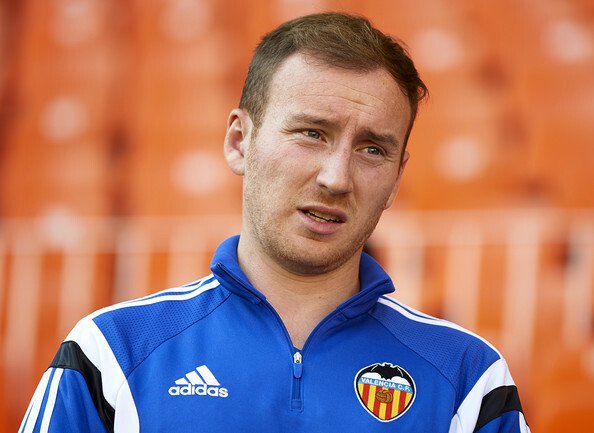 The 28-year old assistant manager of Valencia is considered to be among the top coaching prospects in all of British football. His career has been propelling upward at an invigorating pace. It was only six years ago that he began his coaching career as the head of Dundee United’s youth academy. He is largely credited with the development of Ryan Gauld & was tabbed by Nuno to be his protege. Since 2012, Cathro has been the Portuguese manager’s right hand man, first with Rio Ave & now with Valencia. Now it’s time for a humble brag — it was our own John McIntosh who first brought up the idea of Cathro coming to Rangers – at least publicly in the ‘Rangers blogosphere.’ He wrote about the possibilities back in December. To read my proposal of how to bring a young manager like Cathro into the fold at Ibrox – read my late night ramblings on revolutionizing Rangers. It is heartening to think that the club would consider such a bold move that would transform the way Rangers have run the club for decades now. Of course, The Sun has been wrong before — so deep breaths are required. Exactly the type of man we need. But I find it highly surprising that our current board are looking at him. When it was first suggested on Rangers Report, I thought it was a great idea. I wonder now if someone at the club didn’t think similar. My question would be ,,,,who is looking to appoint this guy ? the current board ? .That would tend to suggest to me that it is a bad idea .After all these guys have already proved how incompetent they are .This would be a major gamble on a guy with no managerial track record , however it worked with Souness , so you never know.